The influx of pioneers and the Trace’s military use required that a survey be done. The Treaty of Vincennes on August 27, 1804 extended the treaties and agreements made with the Indian tribes. This treaty gave the United States all the land south of the Vincennes Tract from the Buffalo Trace to the Ohio River. William Rector was hired to survey the Trace in July of 1805, starting at the eastern end and at the border of Clark’s Grant. Clarks Grant was a tract of land granted to George Rogers Clark and the soldiers who fought with him during the American Revolutionary War in honor of their service. The 150,000 acres tract was located north of what is now Clarksville. 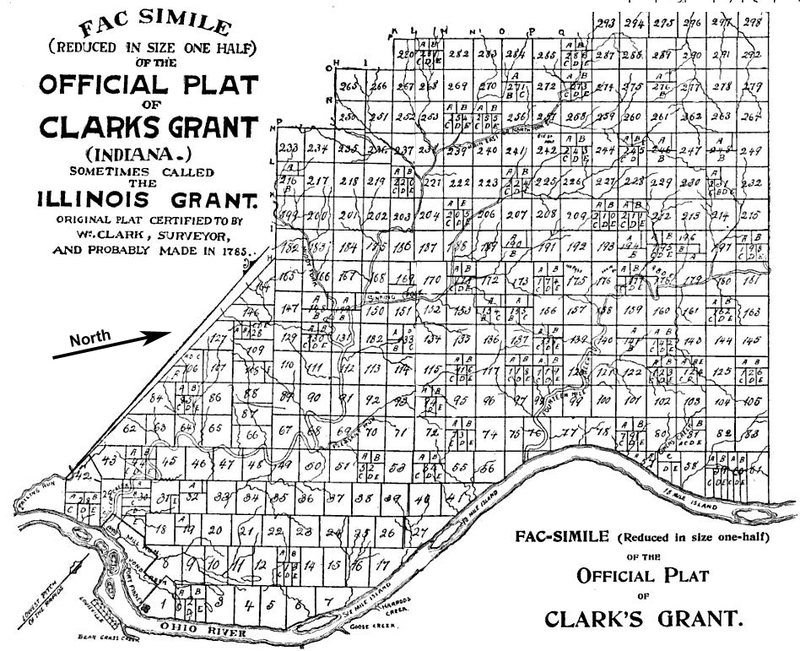 Rector began at the edge of Clarks Grant since it was already surveyed and moved west on the actual Trace across the state to the Vincennes Tract, and then later surveyed the treaty line keeping it north of the Trace in order to include the entire Trace within the lands included in the Treaty. The Vincennes Tract had been surveyed in 1803 by Thomas Freeman. Although the Buffalo Trace through this portion of the state was not precisely surveyed, survey notes often reference where the old trace was when surveyor’s cross it during their work so much of the Trace can still be traced west of Rector’s work. 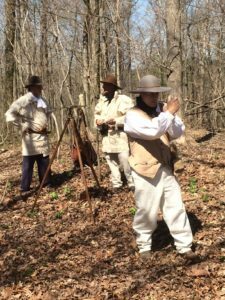 Link to download a YouTube video of deputy federal surveyors in period dress surveying the buffalo trace in 1806.